Christmas time is a wonderful time to demonstrate your love for that special someone by presenting her with a truly special Christmas gift. Unfortunately, that is kind of hard to do when you can’t seem to figure out what to purchase, and although romantic Christmas gifts are actually a dime a dozen, you don’t want to buy something ordinary for your extraordinary sweetie. You may not have five golden rings, four calling birds, three French hens, two turtledoves or a partridge in a pear tree this Christmas, but one thing’s for certain- these romantic Christmas gifts are just as sweet, and not nearly as hard to find for your true love! 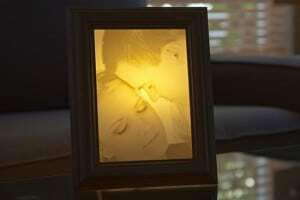 Consider a romantic personalized photo lamp from light affection for the love of your life this holiday season! These unique lamps are custom made based upon the photograph that you choose, and they are created with a modern version of the age old art form Lithographs (Greek for vision in stone) so you can rest assured that you’ll never find another exactly like it anywhere in the world! 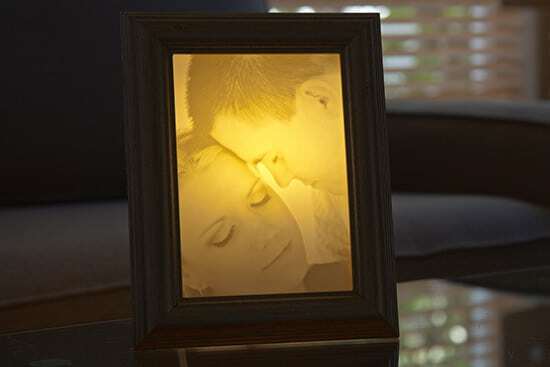 Choose from a 4″x4″, 5″x7″, 8″x10″, or even a 2¾”x2¾” night light, and submit your sweetheart’s favorite photo for a gift she’ll never forget. An “of the month club” subscription is a wonderful way to show your honey that you love her continuously throughout the year, and with so many selections to choose from, finding the right gift is a breeze. Select from a wine of the month, chocolate of the month, fruit selection of the month, or almost anything else her heart desires, and the selection of the month will be delivered directly to her door each and every month for three, six or twelve months, complete with a custom gift card! If one gift just doesn’t seem to be enough to demonstrate your love this Christmas, consider putting together a custom made gift basket to show her how much you care. One fabulous idea is to purchase a medium sized pail, and fill it with her favorite bottle of wine, fruits or chocolates, body spray, bubble bath, candles, a fluffy new bath robe, and a good book. If you want to go all out, include a gift certificate for a spa treatment or something else spectacular. Creating lasting memories with your sweetheart is one of the best ways to get to her heart, and an experience gift enables you to do just that! More affordable than you think, an experience gift is available for thousands of experiences, so choosing the best one for your true love has never been more simple. Consider sharing the experience gift with her as well, since your presence can make it even more wonderful! Choose from a hot air balloon ride, a dinner cruise, or even a wine tasting adventure, and give her a gift that she’ll never forget. What are the most romantic Christmas gifts you have ever purchased? 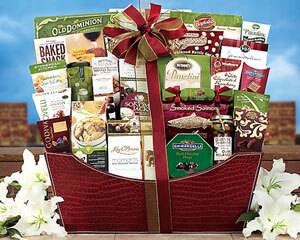 Do you think that a homemade gift (like the custom gift basket mentioned above) is more rmantic than say, an experience gift? Is the amount of money you spend on a romantic gift important? Let us know your thoughts in the comments section!